Relationship marketing is all about developing trust with your audience. And that’s becoming harder with fragmented attention spans. Today almost everybody is drowning under a deluge of e-mail. People are spending a lot of time sifting through over-flowing inboxes and trying to find those few gems of knowledge and wisdom scattered amidst junk mail, Get-Rich-Quick schemes and MLM invites. To avoid being a nuisance to your subscribers. The only way to ensure that your relationship marketing is off to a good start is by making every issue of your e-zine valuable. Be known as a publisher who over-delivers on a promise of fresh, useful and essential content. That way, subscribers on your opt in mailing list will treasure your emails. It will stand out from the crowd of pretenders, keeping your reader’s finger off the DELETE key. So identify their needs before planning your frequency and distribution schedule. And then over-deliver with valuable content. How long will it take to prepare your email newsletter? Nothing is set in stone with relationship marketing. Your investment pays off richly – but over time. On an average, it might take between 2 and 5 hours of work to craft your email marketing message and mail it out. spell-checking and distributing to a list of email addresses – not to mention planning and periodically reviewing your email marketing strategy. What happens if you miss a schedule? If it happens often, your readers may choose to cancel their subscription. Or worse, they’ll trash your e-zine without even reading it! That’s a huge relationship marketing fail… and something that you should avoid at any cost. and then hit upon the best frequency for your email marketing. entertained – and Looking Forward Eagerly to the next email! 1. Does your e-zine deliver timely content ? 2. Does the content merit frequent updates ? 3. Will sending email annoy readers if you do it so often? 4. Can you regularly afford to spend 2 to 5 hours on your e-zine? An important element that might damage or adversely impact the burgeoning relationship you’re building with your audience is running ads in the content. 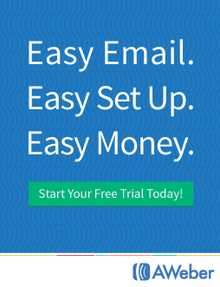 – How many ads should you run per email? Difficult question. There is no definite answer. As a very rough guide, try and see that the advertisements do not exceed 30% of your content. Less is better. – Will you have a separate section for ads? Many email newsletters have a ‘Classified Ads’ section – just like newspapers. All the ads are placed together in this section. • TOP position – at the top, just under the title. Grabs the reader’s eye, gets the most attention, hence justifies high pricing. – How to identify ads to prevent confusion with content? Unless it is clearly identified as an ad, there is a risk that advertisements may be misinterpreted as content. It is advisable to separate the ad from surrounding content by using empty space and some text-bars, and adding a caption that says “Sponsored by”, or “Advertisement”, or “Support Our Sponsor”. – What kind of ads will you accept? As a general rule, your readers will not object if you advertise products or services of interest to them. Try and limit advertising to such areas – and track your email marketing statistics carefully. Once you decide upon the number and position of the ads, do not change often. Your readers will come to expect a certain amount of advertising as a necessary evil. Respect their tolerance by not exceeding this limit and your relationship marketing will be more effective. The better you know your subscribers, the faster your relationship marketing will progress. So you may want to collect more data about your readers. 1. Make it obvious WHY you are gathering this data. Relationship marketing is aided by transparency and honesty. 3. Collect only the most important, usable information. 4. Keep the demographic survey form simple and short. 5. Do this only as a second stage, after your reader has signed up by providing an e-mail address. 6. Make it optional, so this requirement doesn’t scare away potential subscribers or interfere with your relationship marketing. 7. Guarantee security for the data collected. 8. Automate the process of filing away this data for future use. If you have sent and received e-mail, you’ll know that each message has a SUBJECT line in the header, below the FROM and TO fields. Often this is the first part of the e-mail that is seen by the recipient. To a large extent, it also determines what (s)he does with it – read, file away or trash! In other words, relationship marketing depends upon many things, but it begins by getting your subscribers to open and read your messages. As you send out each email, the SUBJECT line is therefore of critical importance. There are many different formats you can follow, each with its benefits and drawbacks. Incidentally, there is another way you can do this – use a constant text indicator that is unique to your e-zine – e.g. [XYZ] – as a prefix to the text in the SUBJECT line. Readers can then configure their e-mail program’s filters to recognize this text indicator – [XYZ] – and sort that message into a specific folder. The disadvantages are that this method is boring and monotonous, and might be perceived by some readers as indicating a lack of creativity and imagination. In addition to all the benefits listed above, you give the reader an idea of the content of this issue. Adopting this method is risky. While it increases the chance that your reader will be enticed by the headline you use, there is the possibility that (s)he will not associate this message with your email newsletter and might consider it spam. All these tips will help you with relationship marketing using email newsletters. For more ways to turbocharge your email marketing, be sure to check out our new EMAILNAIRE program – get details here.